Country of Origin: Italy. This mixed-milk cheese is produced from cow and goats’ milk from animals that are free to range and feed upon summer meadows. 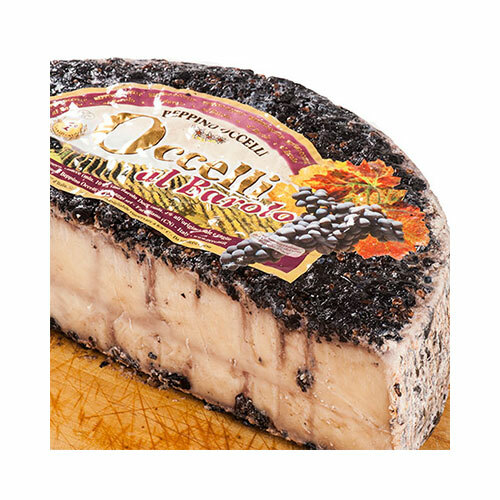 It is aged for at least five months in the Valcasotto cellars and has a hard consistency. It is then refined for two more months in Langa vineyards where it is enriched with Barolo wine. It has been considered the best “drunk” cheese in tests conducted by the Slow Food experts.